There are plenty of opportunities to rub elbows with hundreds of high-level individuals who are changing the game in health. Take advantage of coffee breaks, lunches, and the reception at the end of day one! 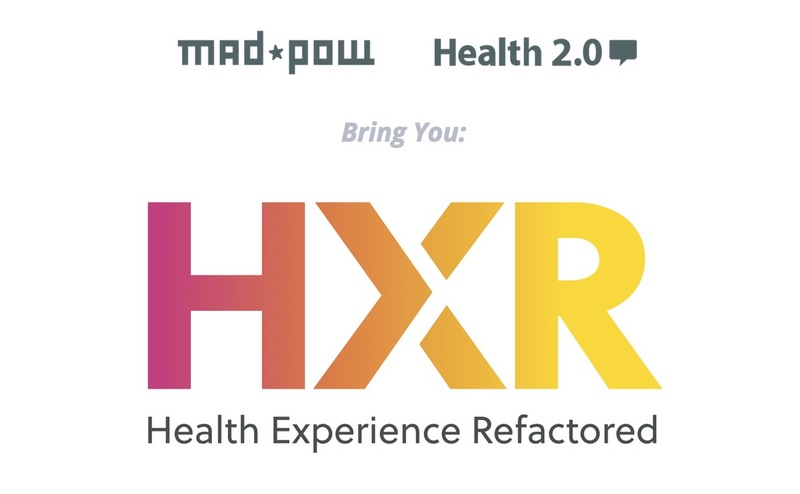 Register for the workshops at HXR to get hands-on information and be able to apply what you learned, right away. The exhibit hall will be filled with companies who are showcasing their latest and greatest work in health. Strike up a conversation and take a look at case studies from various companies. TEDx speaker, Director of Pharmacy and Integrative Health at an FQHC, and President of RXRelax, Jay Gupta, will keynote on June 21st. Jay’s been researching and developing the next blockbuster drug to prevent and reverse many chronic health conditions. He trains care teams to use yoga as medicine in his RxRelax Therapeutic Yoga Training for Healthcare Professionals and has developed a variety of audio and video tools that support a healthy lifestyle. Now in it’s third year, the HXR’s Design for Health awards will feature the best service design, digital product, website, process improvement, health communication, data visualization, physical environment, or mind-blowing new thing. See the selected project, and award ceremony on the main stage. Submissions close Friday, May 19th! In the Motivation and Health Behavior Change session at HXR, you’ll learn from experts in the field about theory-backed and evidence-based approaches to facilitating motivation for positive health behaviors in a variety of contexts from interpersonal (coaching and clinical encounters) to commercial applications (digital services, websites & apps) to large-scale multi-modal public health campaigns. Wearables, sensors, and tech-enabled devices continue to make an impact in these innovative times in health. They have led to a more accurate real-time data collection, allowing health professionals to better understand individual’s lifestyles and behaviors. We will hear from some of the most innovative companies in the field and get a behind-the-scene on how they developed their technology, which makes them stand out from the crowd. You heard that correctly. A panel disguised as a game show. Jeopardy meets the Price Is Right. You have to see it to believe it. At HxR, the patients voice will be heard loud and clear in various sessions throughout the conference including a session on mental health. Each year, HXR makes large strides in improving health. Be part of that solution. Why Health Reform is a Risky Business for Politicians: Even Winning Can Cost You at the Polls! I am just a poor Primary Physician. Can I apply for a scholarship? Would it matter if I was retired?